Lucky cats are traditional Asian items which represent good fortune and protection. 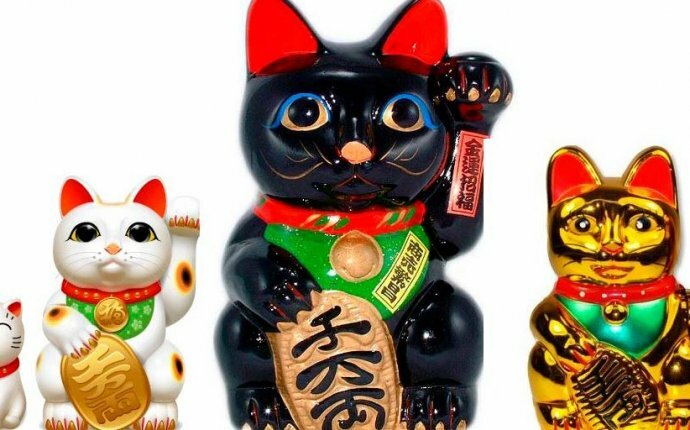 Those who have lucky cats in their homes or working spaces will have their protection as well as the wealth benefits they attract. You can place lucky cats at any environment where you wish wealth to come. Most of the times, there are two lucky cats represented together, one of them with its left paw up and the other with the right one up. The lucky cat raising its left paw is the one which specifically attracts wealth, while the lucky cat which raises the right pay is in charge of giving protection to those who keep it as well as to the income attracted by its partner. The lucky cat which has its left paw up is depictured smiling. This smile is meant to invite good fortune and wealth to come to him and therefore to the place where he is. On the other hand, the lucky cat which raises the right paw shows a warning expression. This warning is what protects your income from any evil. There are some indications you should take into account and follow regarding the place where your lucky cats will be. Ideally, they should be placed in the wealth area, at the southeast of the house or working space where they will be. If that is not possible, they should be placed in the northeast area. If you wish to follow feng shui guidelines when placing your lucky cats, you should not only take into account the house area where you place them, but also the elements they contain. Therefore, if you will place your lucky cats in a metal area you should choose them made of metal, or if they will be in a fire area they should contain fire colors. Lucky cats symbolize protection in all senses. They can see in the dark and protect you from what you might not be aware of. They would defend not only your income but also your house and all those who live in it. If you have them in your office, they will help you succeeding in your career as well as improving and protecting your income.